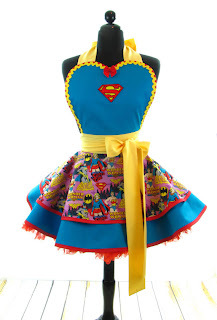 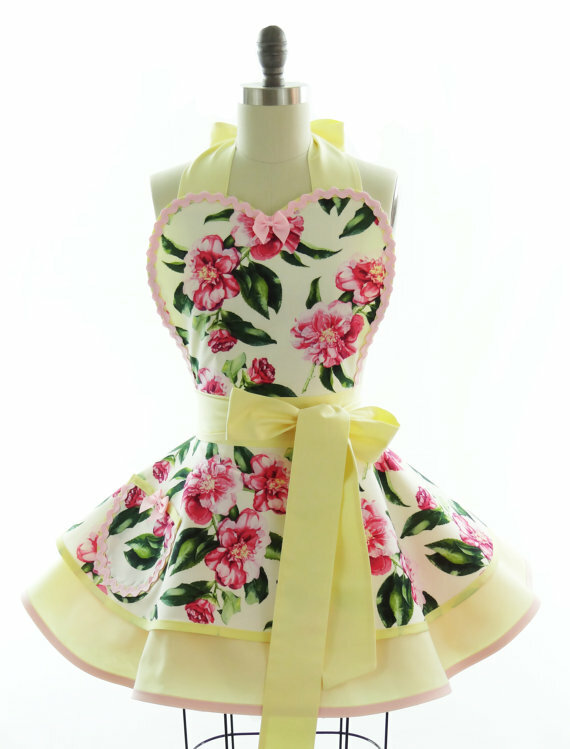 This month I thought I'd show you all some pinnies (or a whole website) with the fun factor! 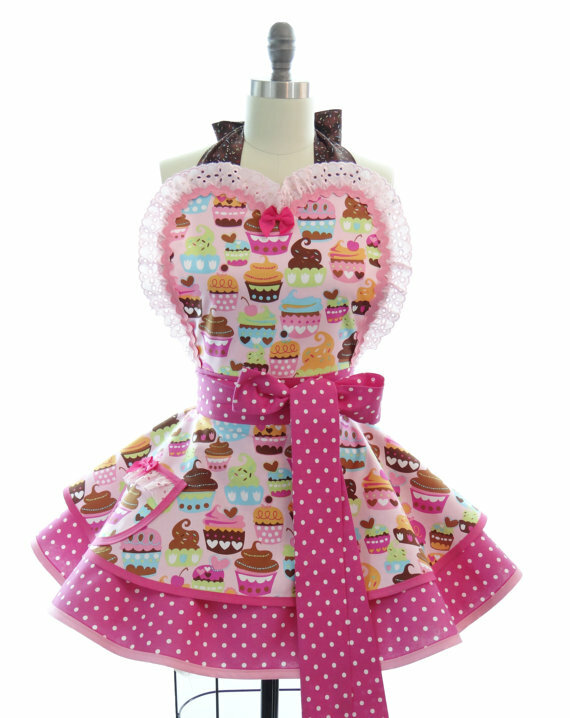 Wearing a pinny isn't exactly a necessary accessory, so why not lighten the mood in the kitchen with something from Bambino Amore ? Bambino Amore is an Etsy based shop selling retro inspired pinny's which focus on the large heart shaped stiff front panel... gorgeous. 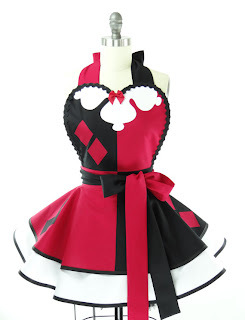 Can you imagine hosting a themed dinner party in them? Even if you weren't going to use them in the kitchen, they'd make a really fun fancy dress outfit. Chewy Cookies - the best kind I think!